For special geographic considerations, Deer in some areas of western Kansas are as dependent on a year round water source as on bedding or feeding areas. Many do not include water while scouting. This picture shows far more dramatically what words cannot. A key scouting point includes water. Deer must drink regularly. Water is part of their home range habitat. No water in some areas means no habitual deer presence. That is in western Kansas. In eastern Kansas, all of Iowa and Missouri water is readily available and not a scouting concern. 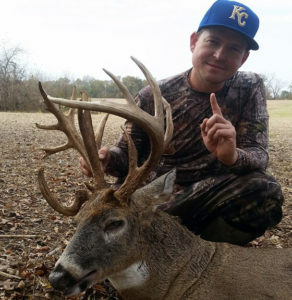 First season Association hunter tagging his personal best. 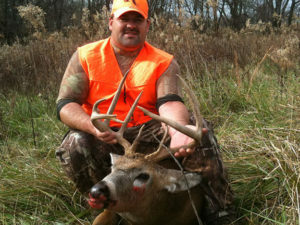 We offer an enjoyable deer hunt where land is readily available. All hunt free from others. Each may hunt to his own standard. Northern and eastern United States hunters find our central mid-west to have an abundance of scrapes. Reason for this is not we have more deer scrape behavior. It is our weather pattern allows for scrapes to remain visible for a long period than regions with grater amounts of snow or rain. 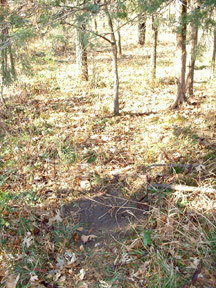 It is common in many areas to find four or more scrapes per 1/4 mile. In one field less than 10 acres we counted 16 scrapes. 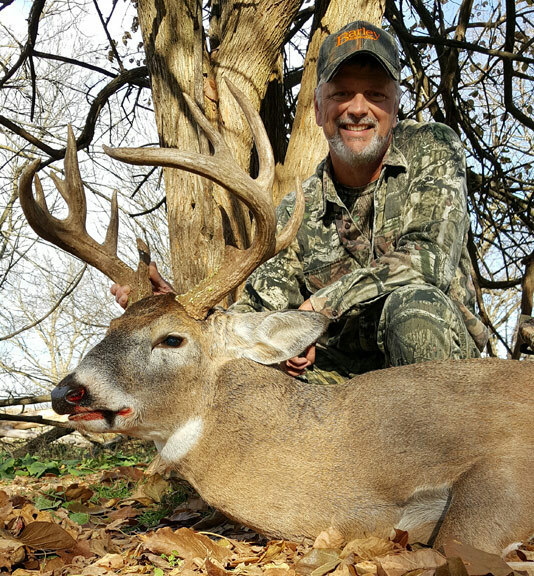 Pictures below are just a sampling filling in one more small detail about our trophy whitetail deer hunting and habitat they occupy. Mid west whitetails loaf in open grass fields frequently overlooked by members concentrating solely on timbered areas. Mature bucks know this and they pattern hunters leaving them in the woods. 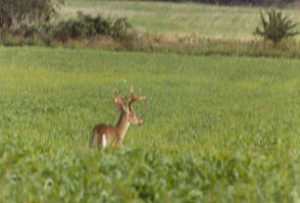 These photos were taken by a member during preseason scouting. Great shots for a pocket camera. 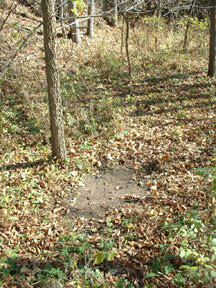 Three aspects with picture proof about our central mid-west deer habitat and its influence on deer behavior. Our land lease contracts allow year round access for pre season scouting and during season hunting as hard as the hunter applies himself. What we hope this series of web pages demonstrate is there is far more to consider than what may at first appear to be.